As a pastor, I work the weekends, so Friday is the one day of the week I have free. After I send the kids to school and my wife heads off to her daily projects, I have the run of the place. So today, in the quiet of my sanctum, with a free morning, I decided to replace the kitchen faucet. 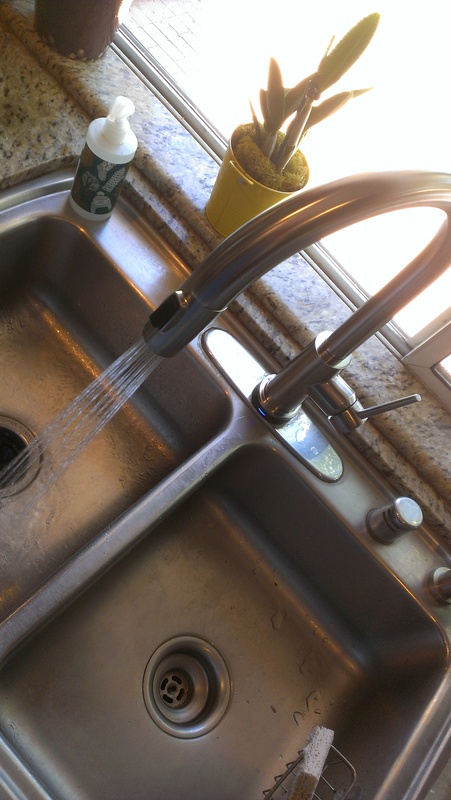 My wife had purchased a faucet of her choosing, which for some reason was a touch-activated type, and thus had an added electronic component located alongside the normal irritating combination of pipes, connectors, rust, and leaks which must be assembled in a place that a yoga instructor couldn’t get to. I assume she did this for either of the two usual reasons – that she found this one on sale, or that I have done something to anger her. I regularly tell my congregation that if they sin, they should confess, both as a spiritual exercise that rights their relationship with God and as a therapeutic way of owning up and moving on. As a consequence, I feel it only appropriate that I model the behaviors I teach, if only in a small way on this blog that hardly anyone reads. Having done some plumbing myself both around the house and for a pittance of income, and having read this, I feel I must confess to everything I’ve ever said under the sink. That includes the episode where five decades old rusty steel drains stopped up in the middle of preperation for Thanksgiving dinner. I didn’t even bother. The dishes went to the bathtub and on Friday I went to the orange bigbox. I knew me and my relationship to that sink well enough that I just drilled a hole in the floor to the basement and plumbed in a whole new drain. I suppose I should apologize to Delta designers, hardware store “helpers” (eyeroll), dishwasher installers, people who think they need something better than plastic ice cube trays… the list goes on. There are MANY husbands who can readily identify with you on this one. Lol your humor is always enjoyable. Well done – both esthetically and spiritually.